In Mindset, Carol Dweck describes how people with a fixed mindset believe that abilities like intelligence can’t be changed. So they spend their lives trying to showcase their abilities and prove themselves. This can be stressful. 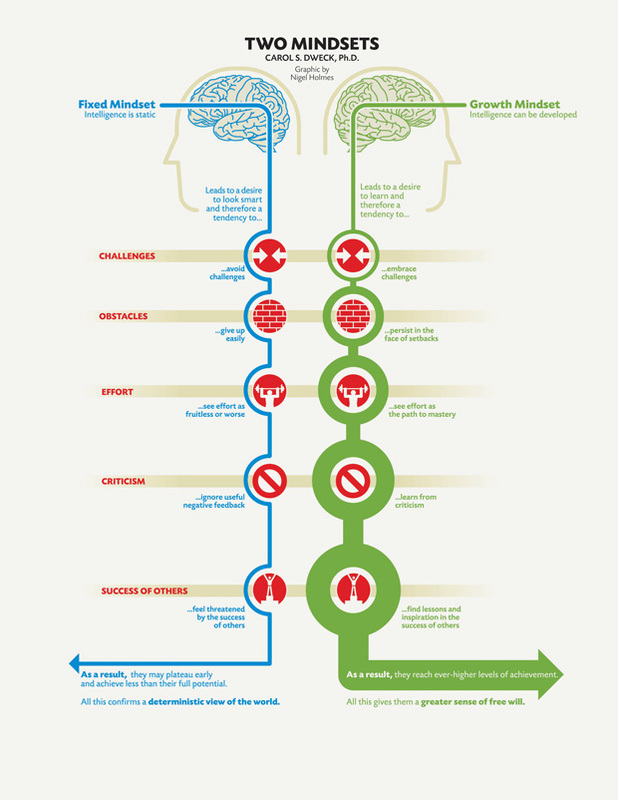 On the other hand, people with a growth mindset believe that they can develop any ability with hard work and dedication. That tends to be more rewarding, create a love of learning and a resilience to failure. I recently learned the hard way that mindset is not just applicable to individuals. Entire groups of people can be drawn into a particular mindset. And having the right mindset as a team seems to be crucial if you want to have fun while building lean products. Last week, our team launched a new product. Although this isn’t a completely new experience for us, we seemed to find this particular launch rather stressful. For reasons that seemed to be difficult to fully explain at the time, the entire team felt a lot of pressure to deliver a great (and flawless) product first time around. We worked through a couple of weekends and late nights and even the normally unflappable people became (ahem) a little bit grumpy at times. There were a few obvious, external factors that contributed to the pressure: We had been working hard on the MVP for a couple of months leading up to the deadline; there was an external deadline associated with the release and we were working with a great new client whom we really wanted to impress. Also, our spouses were doing the beta testing. The less obvious, but more interesting factor creating the pressure was internal. For several reasons (including the ones above), the situation caused our normally growth-oriented team to shift into a fixed mindset. Our general approach is to release every product with a mindset that says “fail fast, fail hard and learn”. To do that, we need to be confident that we can improve a product in a matter of weeks by building, measuring and learning. The first version of a new product can be pretty horrible, but by keeping our egos out of the process and improving with every new version, it becomes good surprisingly fast. And that process is usually huge fun. During the last launch, we broke the pattern. We suddenly felt that we needed to showcase our abilities. We needed to convince people we were awesome. We wanted to impress. And consequently we started obsessing about every detail and flaw, arguing about priorities and issues and generally becoming tired and inefficient. Thanks to a couple of really talented individuals and some seriously hard work, we managed to pull it off. We launched a product that we (and our partners) were really happy with. It still has a long way to go, but it is good enough for the time being. And now we seem to have shifted back into our more regular rhythm of creating, observing and improving. Without the angst and fear of feeling that we have something to prove. Our team has shifted back into a growth mindset. Every day we learn and get better, and so do our products. It’s a happier place to be.